4/3: This little guy had applications pouring in but they all fell through. Now he is wondering how anyone could resist his cute little face even when he has gotten more confident around new people! 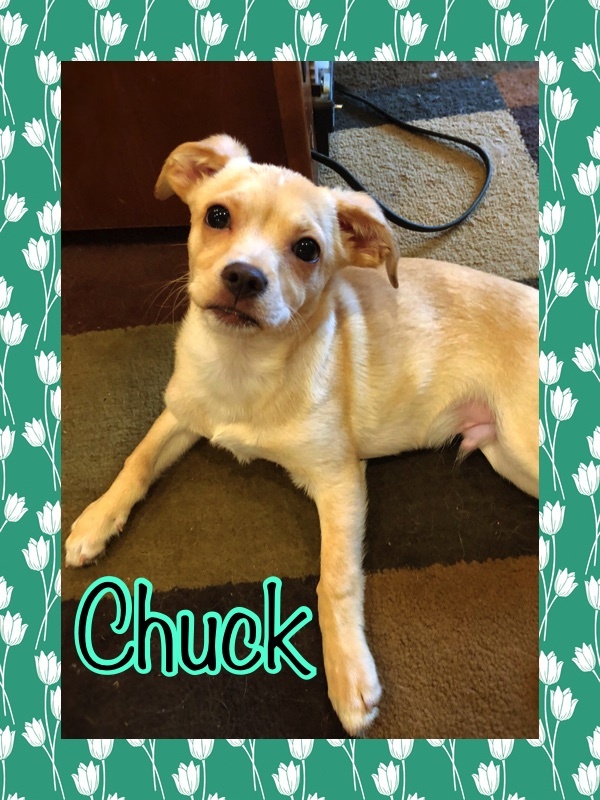 Chuck would love nothing more than to find his forever home! 3/1: “I’m the cutest and I know it!” This little dude is Chuck! 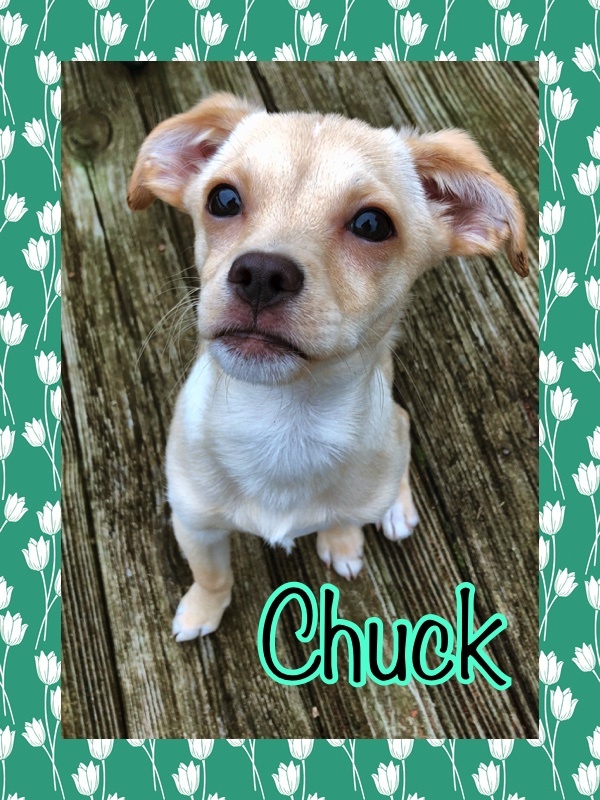 He’s 9 pounds, about 14-weeks-old, and we’re guessing he’s a chihuahua mix! 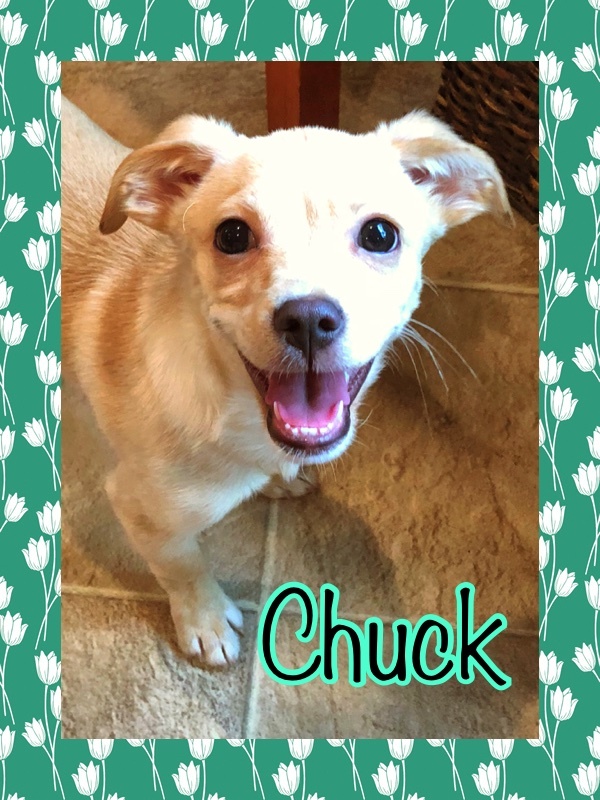 Chuck is loving life in foster care! He’s made friends with several other dogs, a few cats, and absolutely adores his foster parents. He’s a little shy of new people at first, but he’s only been out of the shelter for less than a week and he’s becoming braver every day! Chuck has already learned how to sit, wait for his breakfast/dinner, and is working on crate-training and house-breaking. 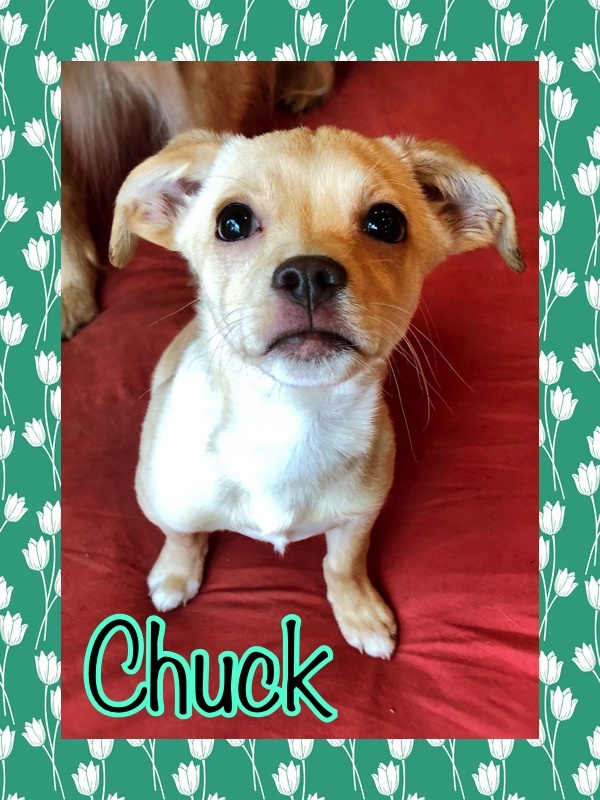 Chuck is a super loving and loves snuggles and getting carried around like a baby. He’s also a super goofy pup that plays his heart out with the other dogs, his foster parents, and all of the toys in the toy bin!